You can charge any Lightning™ mobile device, including your iPad® or iPhone®, using this convenient 2-in-1 adapter. 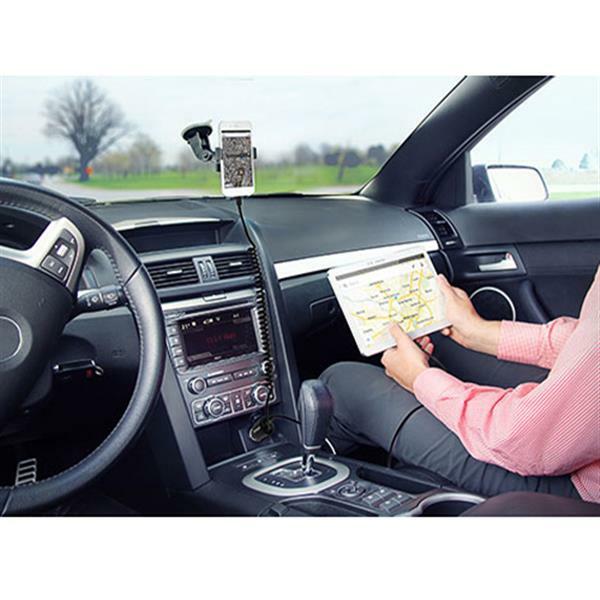 Plus, since the cable is attached directly to the charger, it won’t ever get lost in your vehicle, or be just out of reach while you’re driving. 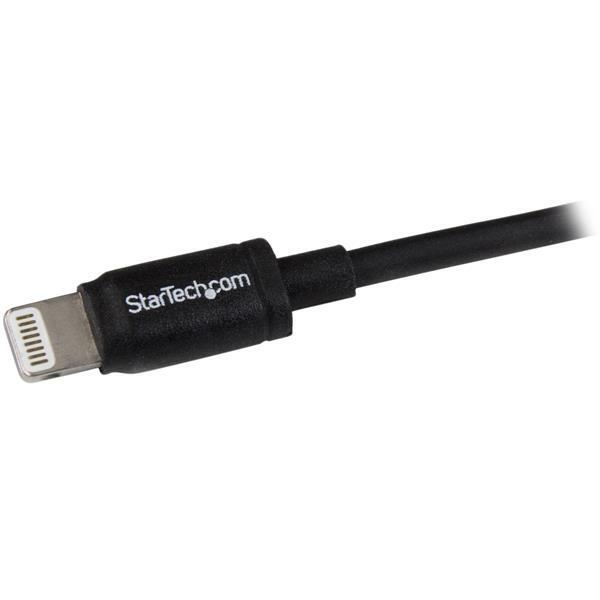 The integrated USB port gives you the option to charge an additional Apple® device, including a second iPad, at the same time, through either a separate Lightning cable or 30-pin Dock cable. Don’t have a second Apple device? 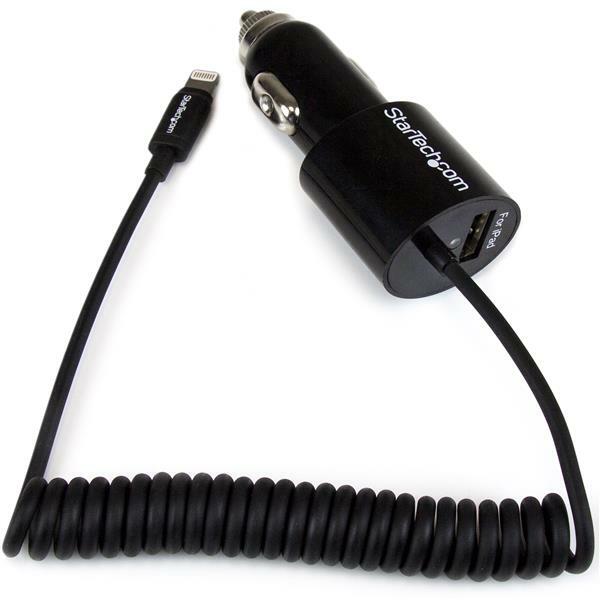 You can also charge Micro USB or Mini USB-enabled mobile devices with this adapter, such as a smartphone, tablet, or GPS using a Mini/Micro USB cable. 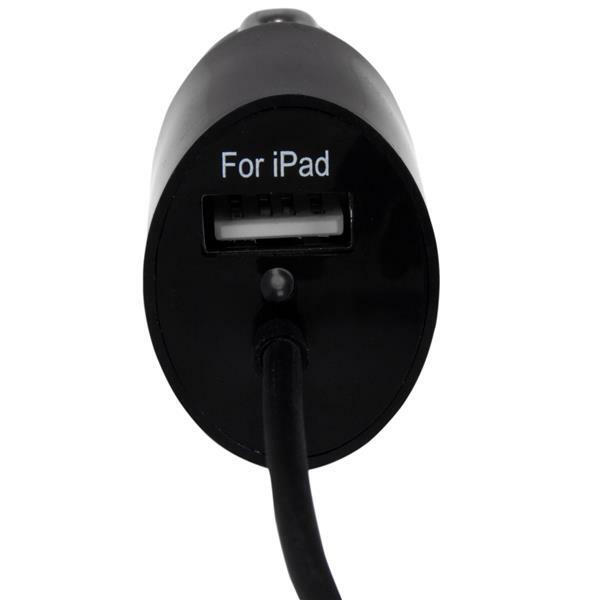 Each charge port provides 2.1A of power to assure that you have enough power to charge everything from a phone to a tablet. Whether you’re charging two tablets at the same time or charging a phone and a tablet, you can be sure all of your mobile devices are ready when you need them. 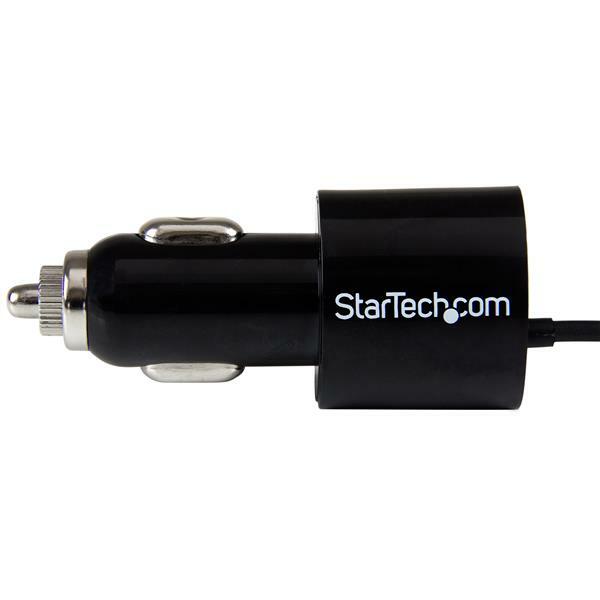 The durable USBLT2PCARB black dual-port car charger is backed by StarTech.com's 2-year warranty to ensure dependable performance.